Visit us on Facebook, Instagram, Youtube, and Twitter!! Born and raised in Stillwater, MN, country music has always been a big part of Sara's life. Starting at a young age she joined the school choir and developed a love for singing. Some of Sara's musical influences are, Loretta Lynn, Patsy Cline and Miranda Lambert. At the age of 16 she had the opportunity to travel to Nashville, spend some time in the studio and record several songs. While in Nashville, she had the honor of performing at many well known venues including Tootsie's Orchid Lounge, Nashville Palace and other honky tonks in the area. After she graduated high school Sara had the honor of performing with Tommy Cash (Johnny Cash's brother) on several occasions, one of which was filmed on the Midwest Country stage in Sandstone, MN and later broadcast on RFD-TV. In 2011, Sara joined 2 Mile Final, a country band who toured the 5 state area and opened for artists such as, Lorrie Morgan, Keith Anderson and Josh Thompson, to name a few. She has had the opportunity to play many venues, casinos, weddings, and festivals including Winstock and Country Fest. After 7 years of touring with 2 Mile Final she has made a lot of great memories with a great group of talented musicians. She brings a lot of energy to the stage and keeps the crowd engaged. She has a heart of gold, a kind soul and enjoys meeting new people. Born and raised in the west suburbs of the Twin Cities, music has been a part of Sean's life since his parents recorded him singing at age 3. From there he learned the piano at a young age and then played the trombone through the start of high school. Guitar was next in line, both acoustic and electric. He also dabbles with the harmonica, bass guitar, mandolin and most recently the fiddle. But through the years, singing has been his major passion. He appreciates all music, but grew up loving country. From his favorite, Waylon Jennings, to the current Eric Church, country music has resonated with him and it shows through his live performances. Sean has played in a few different bands through the years, from Central Minnesota to Downtown Chicago. From small bar acoustic shows to casinos to packed honkytonks. He loves the music, the crowd and the energy. For Sean, it's not just about singing the songs, it's engaging the crowd and doing his best to make sure everyone is having a good time! 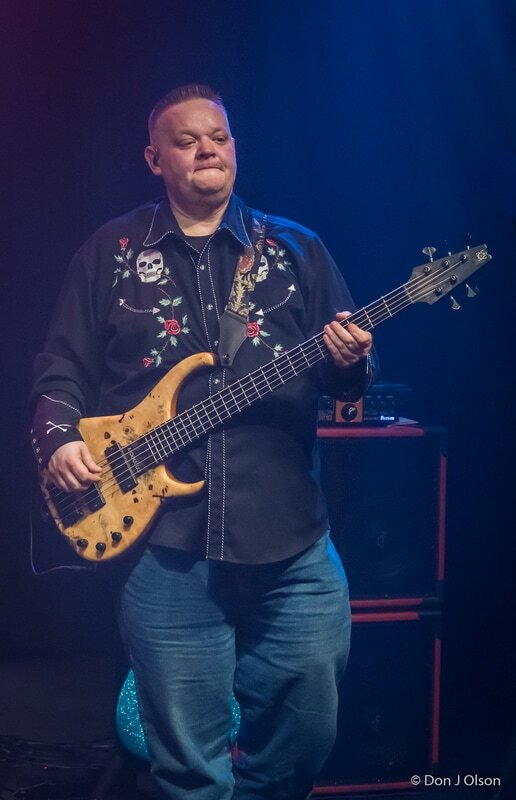 Coming from a musical family born and raised in Wisconsin, Chris has been playing music for over 25 years. Chris brings an edgy style, yet a calm noticeable poise with solid and sonic bass skills that lead the dance floor two stepping and dancing all night along with his fancy stage moves. Chris enjoys all styles of music. His favorite is country. Some of his favorite bands are Los Lobos, Gomez, Son Volt, Eric Church, Chris Young and Jason Aldean to name a few. Aside from playing in bands and music, Chris works in Sales at American Musical Supply for his day job, selling gear and making dreams come true!! He also owns a production company with full PA and LED light show, and also is a luthier ( one who does string instrument repair). His favorite drink is Coffee. Chris also enjoys writing and recording music in his spare time and going out to support local live country music! Some of his past bands have been: The Greg Michaels Band, Purr, The Deep Fried Tweeters, Zero Toleranz, The Dynamite Dirt Boys, Forty (40) Watt Bulb, and Jays Boatcar. Chris plays Epifani Bass heads and cabinets, and Modulus bass guitars. If you were on the twin cities scene in the early 80's you may have seen Eric as a young 10 year old playing his licks on "Kansas City" with every band he could get on stage with, he then joined his first working band and 17 and hasn't stopped since. He then studied music with studio guitar player to the stars Clint Strong. 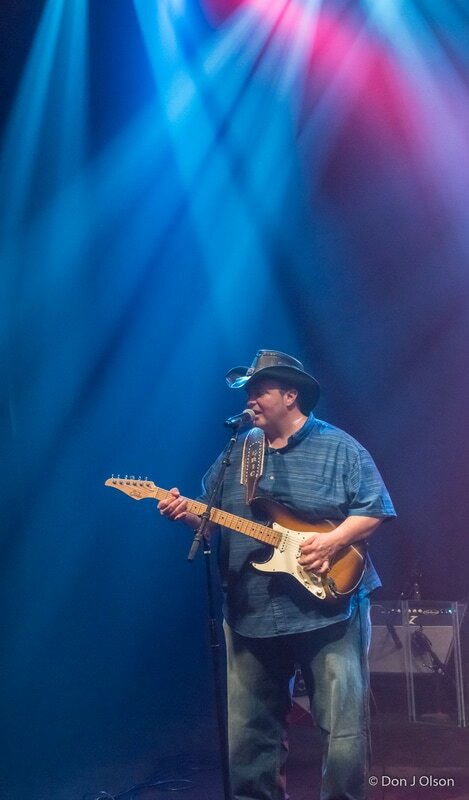 He plays a variety of styles like classic rock, blues, funk, current pop, new and classic country. He has opened for many national acts including Shenandoah, David Allen Coe, Kentucky Headhunters, Rockie Lynn, 38 Special and more. Some of his past bands are: Cocktail Steve, Inside Out, Tim Sigler, American Roadhouse, Big Twang, Tumbling Dice Rolling Stones Tribute. Troy started playing drums at the age of 13 and has not looked back since. A skilled snare drummer, he has performed for crowds of enthusiastic football fans as a member of the Minnesota Vikings Skol Line. He also rocked the drum corps scene for 15 years, and was named DCA Snare Solo Champion for two consecutive years. In 2004 Troy placed third in the World’s Fastest Drummer competition held at the NAMM Convention in Minneapolis. Troy is also very talented behind the drumset. He has performed with various cover bands including Driven, Playback, and Shotgun Wedding just to name a few, playing a wide variety of genres… classic rock, pop, blues, hip-hop, and country. He also backed country artist Shane Wyatt prior to the artist’s move to Nashville. Troy is excited to be playing country with Drop Tailgate and hopes to see you at a show soon!